The Australian Renewable Energy Agency (ARENA) has today expanded its partnership with Sustainable Melbourne Fund, boosting momentum for investment in renewable energy across Victorian councils and small businesses. News of the expanding partnership comes days after fellow renewable energy experts, SolarReserve signed a long-term Generation Project Agreement to build a 150 megawatt solar thermal power station with eight hours of energy storage near Port Augusta, South Australia. [Related reading: SA Government Announces $650 Million Solar Thermal Power Plant]50 per cent of Victorian councils will now be able to offer environmental upgrade finance with an additional $390,000 of funding from the Australian Government. The ARENA and Sustainable Melbourne Fund-partnered environmental upgrade finance is another example of the need to support business in counteracting surging electricity prices. As of 1 July this year, South Australia has reportedly overtaken Denmark as having the world's most expensive electricity. The rapid expansion of the environmental upgrade finance market in Victoria has boosted local and national investment in renewable energy. 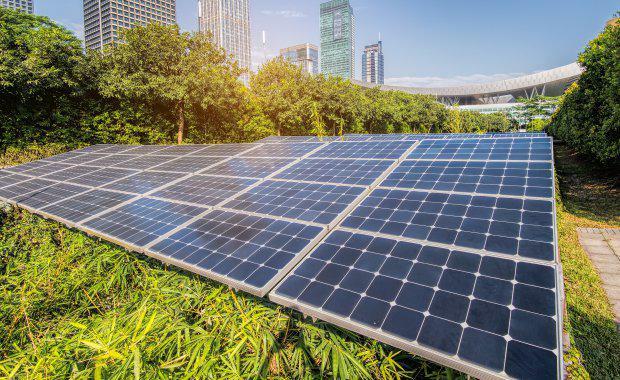 Currently, 14 councils have, or are opening up, environmental upgrade finance offerings with $8.25 million in successful renewable energy loans already secured in these municipalities. The projects funded by environmental upgrade finance are saving Victorian small to medium enterprises $1.5 million per annum, and cutting 5,953 tonnes of greenhouse gas emissions. “Our original partnership was met with strong uptake. 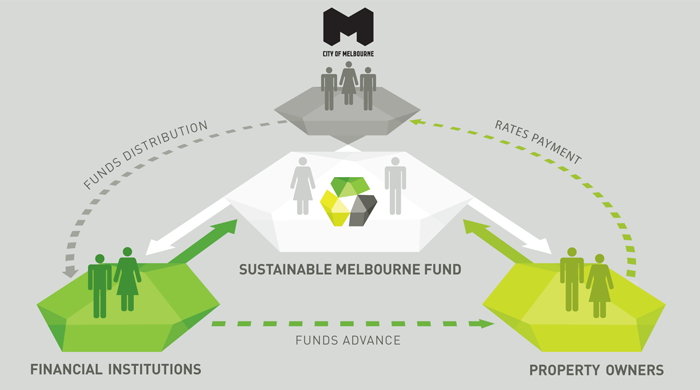 The expansion of this program will enable nearly 50% of all local governments within Victoria to offer Environmental Upgrade Finance cheaply and efficiently to their communities.” CEO of the Sustainable Melbourne Fund, Scott Bocskay said. A key component of 1200 Buildings were environmental upgrade agreements (EUA), which is a contract between the building owner, financial institution and The City of Melbourne via Sustainable Melbourne Fund. Once the agreement is in place, the bank forwards the loan to the business owner, The City of Melbourne collect the loan repayments through a rates charge and then pass the repayments to the bank.